(Picture) The California-Pacific Conference General Conference and Jurisdictional Conference Delegations elected in 2014. (Delegates by election and category, not according to picture) General Conference Lay Delegates:Leanne Nakanishi, Rosie Rios, Ken Ellis, and Mele Maka. General Conference Clergy Delegates: Rev. Cedrick Bridgeforth, Rev. Tom Choi, Rev. Patricia Farris, and Rev. Sandy Olewine. 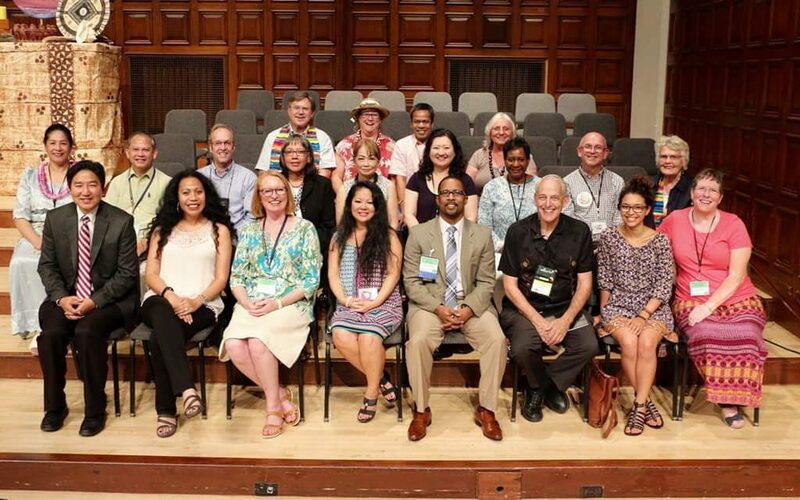 Jurisdictional Conference Lay Delegates: 4 General Conference Delegates plus JoAnn Yoon Fukumoto, Mele Faiva Blagojevich, Mark Stephenson, Ralph Hogan, Norma Kehrberg, Dione Taylor, and Mary Hawkins. Jurisdictional Conference Clergy Delegates:Rev. Molly Vetter, Rev. Bau Dang, Rev. Frank Wulf, Rev. Judy Chung, Rev. Tonya Harris, Rev. Piula Ala’ilima, and Rev. Charlene Zuill. Jurisdictional Conference Lay Reserve Delegates:Monalisa Tu’itahi and Elizabeth Roark. Jurisdictional Conference Clergy Reserve Delegates:Rev. Richard Bentley and Rev. Nestor Gerente.